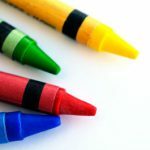 Electrical Services, Mooresville | Mister Sparky by Wise Electric Control Inc.
Count on us for whatever electrical services your Mooresville home needs. There are two things that differentiate your home from living in a tent in the wood: power and plumbing. Having issues with either of these can be more than frustrating. 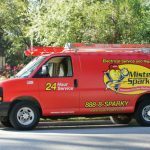 Our team at Mister Sparky by Wise Electric Control Inc. is experienced at making your Mooresville, North Carolina home enjoyable and safe. Our electrical services are the best in the area. You can count on our nearly 30 years of experience to provide you efficient and quality installations and repairs for all your electrical service needs. 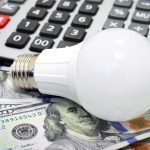 Surge Protection – Keeping your appliances, computers, and other devices safe from power surges with high-quality surge protection is far more affordable than replacing them. 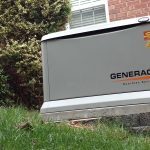 Generators – Having a backup plan for power outages is smart. With our installation and repair electrical services, you can feel confident you’ll be ready for anything. Ceiling Fans – A nice, soft breeze is proven to increase comfort and improve sleep. Let us install ceiling fans for you or correct a problem you are having with your current ones. Electrical Panel – Are you tripping circuits? Do you need more circuits or a new panel? We can take care of all that for you and bring your home up to code if needed, as well. 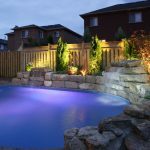 Lighting – Proper lighting is important for numerous reasons, including security, reduced eye strain, safety, and ambiance. We can resolve all your lighting needs with installation and repair electrical services. At Mister Sparky by Wise Electric Control Inc., we offer electrical services in Charlotte, North Carolina and all surrounding areas, including (but not limited to) Cherryville, Concord, Cornelius, Davidson, Denver, Gastonia, Huntersville, Indian Trail, Matthews, Mooresville, Troutman, Hickory, Lenoir, Newton, Sherrills Ford, Morganton, Terrell, and Statesville.